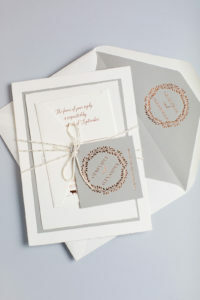 This unique Bar Mitzvah invitation called “Jasper” is simple, yet detailed in it’s very own way! 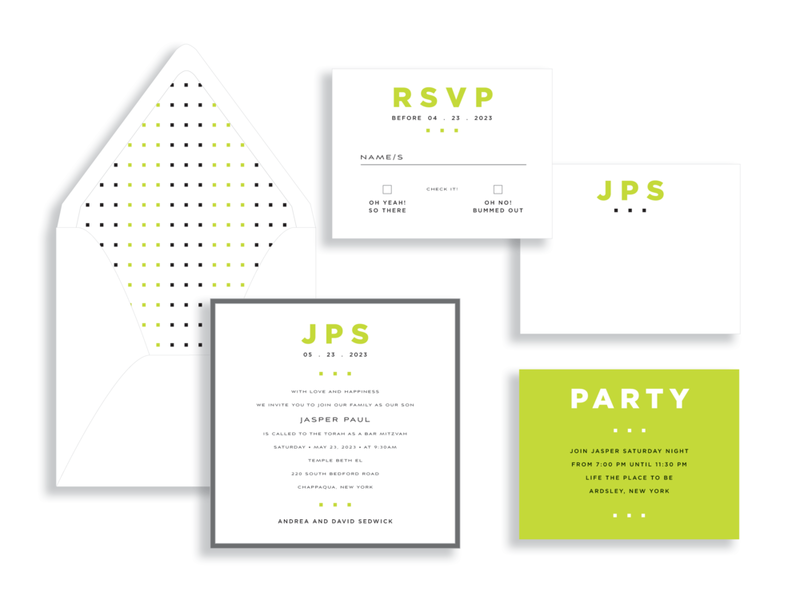 The green and black polka dots in the envelope liner are used as dividers in the rest of the suite for a very cohesive look. 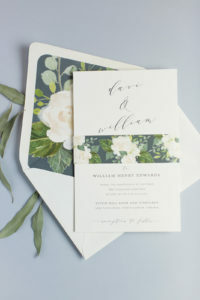 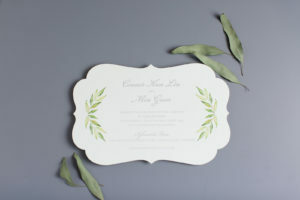 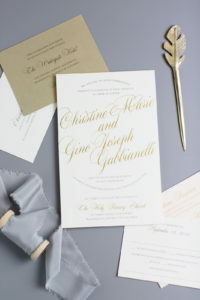 A bold pop of color as the background for the reception card is the perfect embellishment!